At the beginning of each summer, all campers are placed onto either the Green Team or the White Team. Two captains per village are chosen based on their sportsmanship and leadership skills and they help head up their squads. 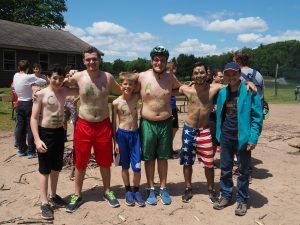 Throughout the summer, campers will participate in Green White activities, either by their village or camp wide. The most common Green White events are Village Activities, where twice a week each village chooses two or three events for their “VA”. 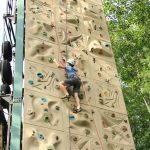 These events may be sports, like softball, soccer and football or they could be other events like village capture the flag or funbug relays. 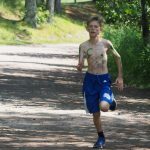 There are all-camp events that go into Green White, but the most notable are the Green White Marathons, which take place once a session. For the marathon, there is a sequence of about 40 activities spread throughout camp that start with a running relay. 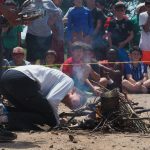 Each camper takes place in at least one event and marathon comes down to the final event, the Boil Water Boil, where two participants per team build a fire and try to be the first to boil over their team’s bucket of water. 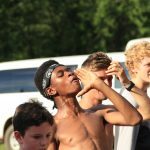 Other all-camp Green White events include all-camp capture the flag, North Star Ball and the Camper-Counselor Hunt. Green White is a summer long program. It is a great ongoing competition where we ensure that in every game, campers are trying their hardest, having fun and displaying the sportsmanship that is expected at North Star.